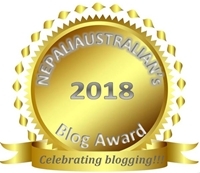 “Saag” means green leafy vegetables in Nepali. In this case we are using Spinach. Heat oil in a large, heavy-based saucepan over medium-low heat. Add cumin and bay leaf and cook for 1 minute or until fragrant. Add onion and cook, stirring, for 5 to 6 minutes or until softened. 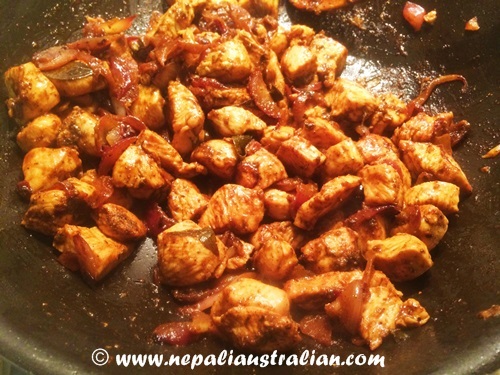 Add chicken and cook for 10 minutes or until chicken is cooked through. Add garlic, ginger paste and chilli and cook for 1 minute. 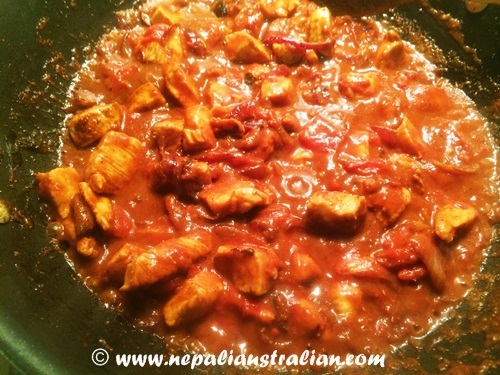 Add tomato and stir occasionally until slightly thickened. Add spinach and stir and simmer for 2 minutes or until combined. Add yoghurt while slowly stirring the chicken and bring to a boil. 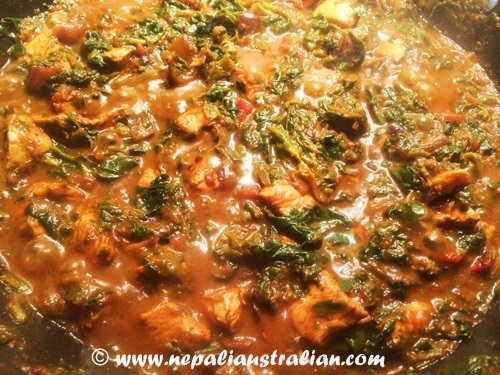 Reduce heat to low for a few minutes and Chicken Saag is ready. 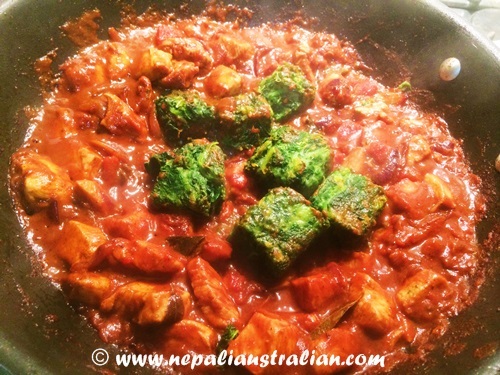 This entry was posted in Foodie, Recipe and tagged australian, Chicken, chicken mince, easy recipe, green chicken, M from nepaliaustralian, mince, mushroom, nepali australian, Nepali blog, nepali recipe, Nepaliaustralian, quick recipe, saag, Spinach. Bookmark the permalink.